Uttar Pradesh government launched facility of online application form submission for ration card. All the people of Uttar Pradesh must have a notice of this news that UP Ration Card Application Form 2018 for all categories such Above Poverty Line (APL) and Below Poverty Line (BPL) is now available in on the internet. Interested candidates who want to apply then fill the application form through online mode. 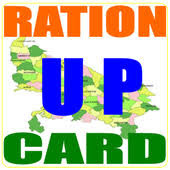 Uttar Pradesh Government & Food and Civil Supplies Department Uttar Pradesh have launched Online Ration Card Application Form for the resident persons of the state. Under the National Food Security Act 2013 (NFSA-2013) Ration Card of Uttar Pradesh has been launched. · Bank Account Details such as bank name, branch name, IFSC code, account number, bank passbook first page scanned copy. · Then you have to fill the registration details to register yourself, enter the email id or phone number and select a password of Id and generate an OTP which you receive on mobile number or email id. · Fill the form completely, submit the application of ration card and take print out of the form of ration card for the use in future if needed. · Go to the official website that is www.fcs.up.nic.in. application for ration card was submitted in Dec 2014 but ration card not given at Lucknow. Please let me know what to do? I'm an unmarried unemployed person. Living alone, away from family. I have a ration card slip and also getting the benifit. But my name is not showing in the list.